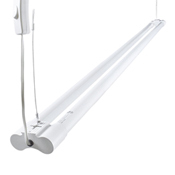 This LED Shop Light strip fixture is bright, easy to install and is the perfect fixture for basements, game rooms, utility rooms, work shops, cabinets, closets, attics, and more! Robust 20 gauge sheet metal construction. 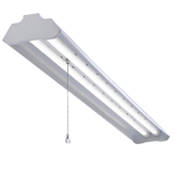 Perfect for workshop, garage, storage, shed, attic, and basement applications.